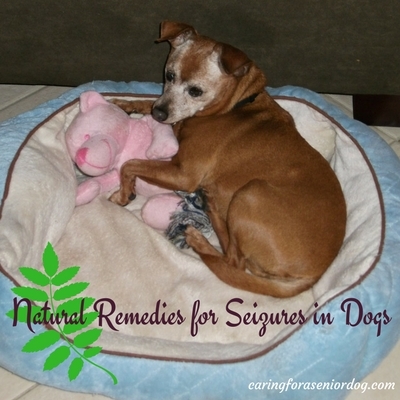 Did you know there are natural remedies for seizures in dogs? I have to say something up front, and yes I know it’s obvious but I’ll say it anyway. Don’t stop giving your dog his medication or add supplements without the advice of a vet or holistic vet. When it comes to my own healthcare I have long preferred a more homeopathic whole person approach, and I am extending that philosophy to the care of my animals as well. but I couldn’t help but feel they may have been hurting as well. I have wanted to add a more natural element to her care, but that was not possible…until now. She is being treated by a holistic vet, and I’m feeling really good about it. He replaced 3 of her medications with supplements, and has taken her off a prescription diet in favour of a homemade, whole food diet he created specifically for her needs. 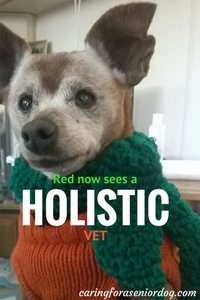 He has also recommended acupuncture, which Red will be starting this coming week. While he agreed she has been extremely well cared for by my previous vet, he was saddened by what her little 9lb body was forced to cope with. Red started having seizures around 2 years ago. Thankfully they are few and far between and last only seconds, so no medication is required. Having said that, I am interested in what holistic treatments are being used to treat/manage this condition. I know from my relatively new experience, holistic care never consists of “one thing” as it seems to in traditional veterinary medicine. What I mean is – when Red had a problem, a drug was prescribed for that problem. Now a multi-pronged approach is being used and that has, and will include: supplements, a homemade wholefoods diet and acupuncture. The same approach can be taken for the care of dogs with seizures, with remedies, acupuncture and chiropractic care part of the plan. One article I found of interest called “8 Natural Remedies For Your Dog’s Seizure” was published in Dogs Naturally Magazine. I have re-printed the recommendations below (with permission of course!). For additional holistic treatments, I was interested in what this article “Holistic Treatments for Epilepsy in Dogs” had to say. I hope you will find the information as useful as I have. Whether you are a staunch believer in “natural” all the way, or you’ve been hearing a lot about holistic care and are curious, I do hope that you found this post on natural remedies for seizures in dogs informative and perhaps even eye opening. Does your dog experience seizures? Do you treat him with medication or holistically? Has the information presented here gotten you curious about a more natural approach? I would love to hear from you so please share your story in the comments section below, or on my Facebook page. Thanks for the amazing info. It will help a lot. 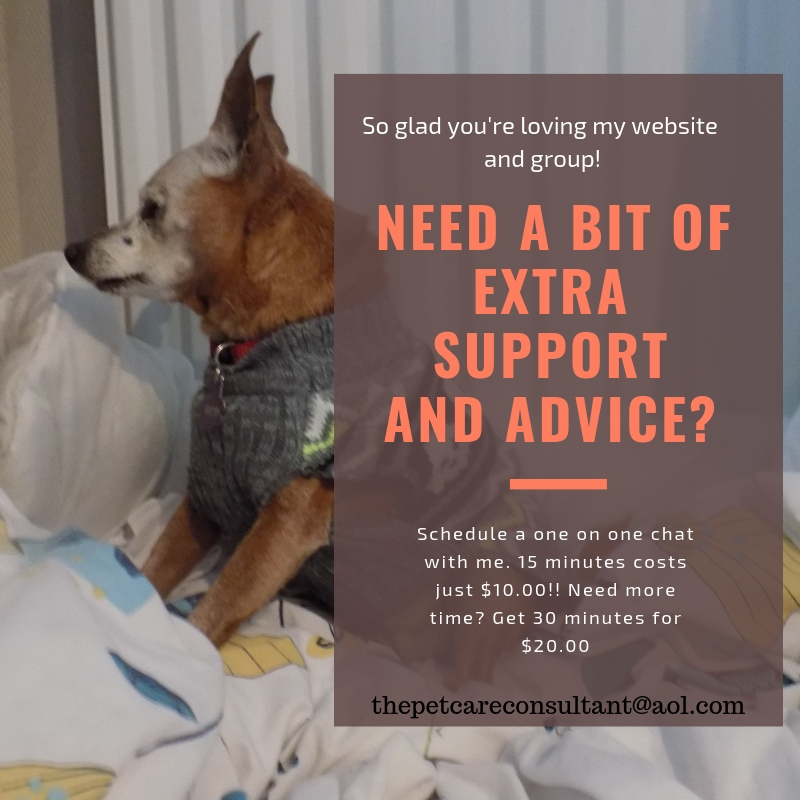 I think these are worth a shot if nothing else works, but if my dog is having seizures I’m going to have to go with tried and true treatments and not iffy holistic remedies. I wouldn’t be able to live with myself if my dog had a seizure and died because I was trying to be “all natural”. I don’t think holistic means iffy, but I agree with you. My dog was on a few medications because they worked, and as much as I prefer natural, it isn’t always an option. Interestingly enough it was a natural product that helped Red when she had an unexplained brain issue. The thing is there are many people who are adamant about only going the natural route. Whether we agree or disagree is a separate issue, at least this presents them some options.